Huang Binhong was one of the foremost literati painters and art historians of the early twentieth century. Born in She Xian, Anhui province, he was brought up in Zhejiang province and worked for some years in Peking before settling in Shanghai in 1909. In 1937 he returned to Peking. The art associations he was instrumental in establishing include the Society of Chinese Antiquities, Calligraphy and Painting (Zhongguo jinshi shuhua yiguan xuehui, 1926) and the Bees Painting Society (Mifeng huashe, 1927). His painting style, which is largely characterised by the use of dense, overlapping layers of ink, has been said to comprise one of the last major innovations in literati landscape painting. He wrote extensively on the history of Chinese painting, was a renowned connoisseur of both paintings and art objects, and edited many publications. His best-known published work is the Meishu congshu (1911) in 120 volumes, a collection of historical and modern writings on art which he compiled with Deng Qiumei. He lectured at several art colleges throughout his career and after 1949 held numerous prestigious academic and administrative positions. 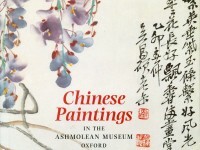 The artist Huang Binhong, under the pseudonym Yuxiang, inscribes: ‘Mi Fu’s [AD 1051-1107] painting paper is never treated with alum and gum solution in water, therefore his ink is absorbed quickly and deeply; the power shown in his brushwork is as strong as if it can carry a ding [bronze vessel], thus following the authentic tradition from Dong Yuan [active AD 934-960]. The Loudong School and the Yushan School [of the early Qing period] competed with each other in using dry strokes, which totally replaced the traditional taste. In the first month of 1941, [Duan] Wuran [1914-1969] asked for my recent works. I found this painting and gave it as a gift'.